In the digital age, it’s hard to imagine a time when mimes and ventriloquists were some of the most popular entertainers. I’ve never understood how a ventriloquist could be a radio star. Edgar Bergen and his pint-sized wooden friend Charlie McCarthy were HUGE stars, working in a medium where his audience couldn’t even tell if he was moving his lips. Call me crazy, but there might have been some wool-pulling going on back then. Marcel Marceau, mime extraordinaire, was highly sought after to do his walking against the wind schtick on variety and talk shows during the golden age of television. Marceau even went on to write a book or three including an alphabet book. In his book, he pantomimed a word that starts with the letter. In the pic below, he’s performing the letter E and the word is Escape. You can read more about that book here. 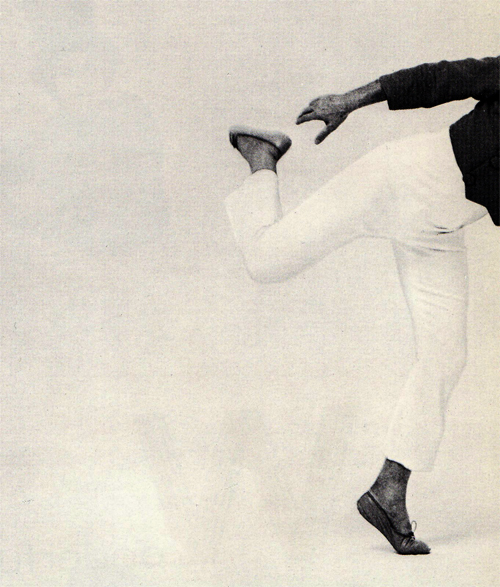 Marceau wasn’t the only mime with an idea for an alphabet book. 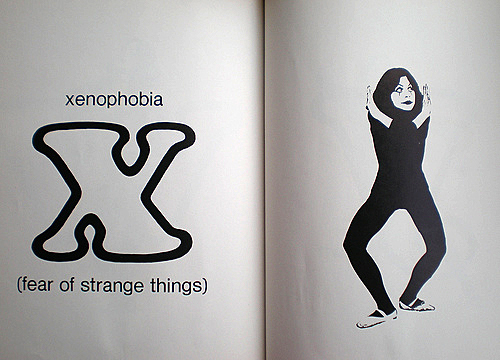 Eliz.Avery has some images on her Flickr site from a 1974 book called, obviously enough, the Mime Alphabet Book. The pic at the top of this page depicting X is from there as is the one below for the letter T.
The mime vibe has been updated a bit in the last few years. Marcel Marceau has gotten reworked via Soulja Boy. And we’ll finish with Natalie Imbruglia’s Torn as performed by David Armand.